"Be an Official Prime Creator & Claim Monthly Rewards!" We have prepared a new Video Producer Program for Top Survivors --> Prime Creator! Do you consider yourself a Top Video Producer for Rules of Survival (ROS) and FPS Games? Do you want to obtain Official Exposure and Diamonds from Rules of Survival? Do you want to be one of the Official Video Producers for RoS? 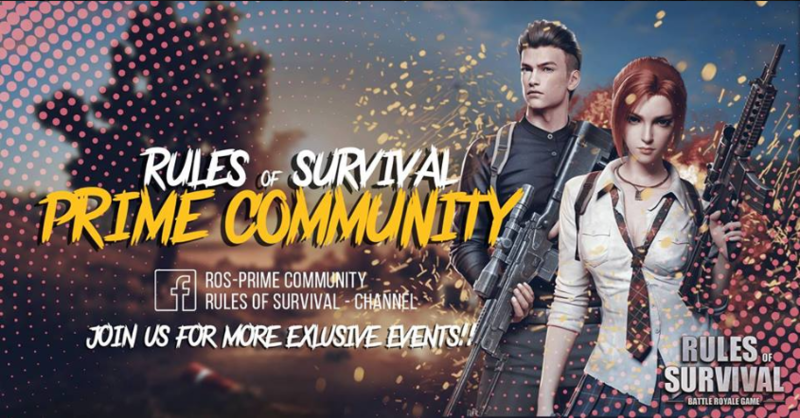 Rules of Survival is looking for Prime Creators and it could be you! Video Length: 3 mins min. - 10 mins max. We have set the requirements for each level of Video Producer, and the rewards are flexible, everyone can have chance to be our Official RVP Creator! >>The more you contribute, the More Diamonds and Official Support you can obtain! Copying others content or being dishonest about your application. Using any kind of cheats/bug exploits within your videos. Disobeying any guidelines provided by program directors. what video tools can we use??? how would I know I got accepted would they email me or they will message me here in the site? how do we know we got accepted on the society?